You can book your low cost car rental on your desktop, laptop, tablet and mobile all with our simple 3 step process! Our site responds to you, literally. Whether you are on a desktop, laptop, tablet or mobile you get the same CARHIRE.ie website on whatever device you choose. One URL, one solution to low cost car rental. You already know we are the cheapest but now we are also the easiest to use. The new website is so easy to navigate you can focus on whats important, the car itself! We don't have any hidden fees so you can book in confidence. Check out the CARHIRE.ie responsive video explained. Our dedication is to you the customer so we don't waste money on fancy desks or big marketing campaigns, we focus on whats important, making sure our price is always low, the car you get meets your needs and a website than is easy to use. Our 3 step booking pod means on whatever device you are using, you can get your low cost car hire in 60 seconds. Even on your mobile you have the same access to everything you would get on your desktop so you can make a booking, amend a booking, cancel if you need to as well as call our reservations centre of just check our frequently asked questions. So when you need to find low cost car rental think CARHIRE.ie and now you can find us wherever you are. You can now use download our iPhone and Android apps on your smartphone to book car hire and manage bookings. 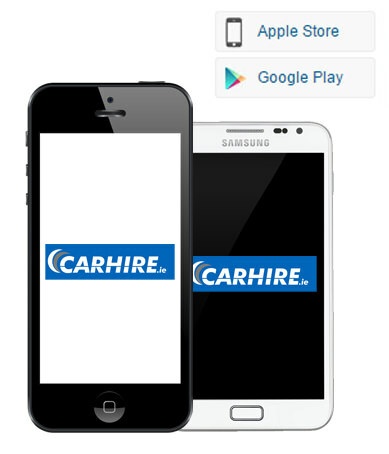 Android app : CARHIRE.ie | Car Hire Ireland by Executive Trust Ltd.